IACTA is an academic body of anaesthesiologists practicing cardiac anaesthesia. We are total 1550 members of this society working in govt. as well as private big institutes. Our society was formed on the last day of IACTS conference held at Ootacumund in the month February 1997. The unfair treatment meted out to the cardiac anesthesiologists was the proverbial final straw on the back of the camel. Five of us met and decided to break off from our surgical colleagues and form a separate society. 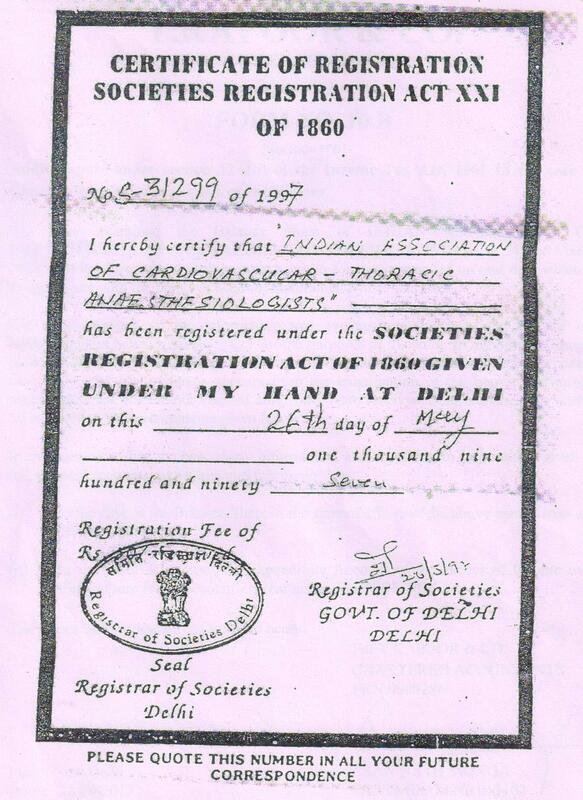 Dr R K Kalyan Singh, Dr I S Naidu, Brig P N Bhatt, Dr (Mrs.) Vjayalakshmi Kamath and I (Conveners) decided to form an Indian Association of Cardiovascular Thoracic Anaesthesiologists and have our first conference in November of same year (1997). Dr (Mrs.) Kamath volunteered to organize 1st IACTA conference at Chennai. Dr (Mrs.) Neeta Saxena, Professor and Head at AIIMS, was made the interim President. Brig P N Bhatt and myself were given the task of preparing the bylaws of our society. Brig Bhatt and I slogged in our free time to prepare the bylaws without any secretarial help and presented it at first GBM held at Adyar Park hotel (Conference venue). It was adopted after discussion. This was indeed a historical moment- the formalization of our society. From these humble beginnings we have blossomed into the vibrant society that we all know today. From the refresher course in cardiac anesthesia and scientific presentation format we added the Brig Bhatt oration and the Dr Janak Mehta award session. Our society journal Annals of Cardiac Anesthesia took wings and soon became an indexed journal. Our annual conferences have become popular among our scientific community and are well attended. Our membership has also grown to more than 1000 and we have become financially viable. We also conduct fellowship examination to our junior colleagues and have added live workshops on TEE. We also have many vibrant State Associations.